Waste Less and Recycle RIGHT! 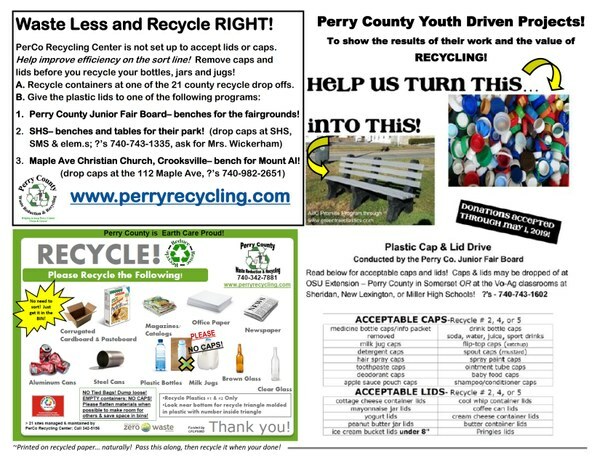 PerCo Recycling Center - New Lexington, Ohio is not set up to accept lids or caps. Help improve efficiency on the sort line! Remove caps and lids before you recycle your bottles, jars and jugs!